Now Available on Amazon and in Bookstores! From time to time as I labored over this work of writing a book on the events surrounding the closure of my business, I wondered "why did you undertake the writing of this book?" I had this strong feeling that I wanted, even needed, to share it with others. As I pondered why, these are questions that I posed to myself, and my answers. "Was it to cleanse yourself of bad stuff that might have built up inside of you as you went through the processes of closing the business and selling assets and paying off debts?" Maybe, although at times it was very emotionally hard to do; to relive the many experiences, and sludge through it all again. But nonetheless, a good cleansing may have well been a nice side benefit. "Was it to share the most unbelievable story of this epic odyssey with the world?" "Was it to share the principles I discovered and the tools I used along the way with others, with the intent that it may help them in the event they encountered something similar in their own lives?" "Was it to expose readers to a different side of all those entrepreneurial business books? To give encouragement and hope when things seem most dire? And to tell people that despite all of our best efforts for our business, sometimes the best option is to shut it down?" Okay then. Let's get after it! 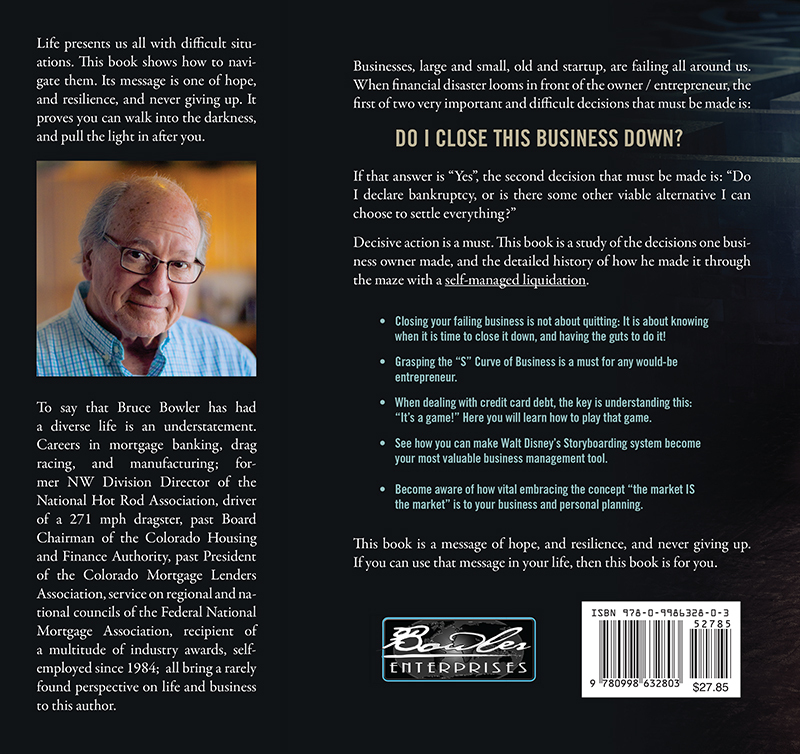 “This is the fascinating – and almost incredible – personal story of Bruce Bowler, a serial entrepreneur who, faced to the fact that his business must close, decides to do a self-managed liquidation instead of filing for bankruptcy. It’s a story full of uncertainty and angst, but equally brimming with hope and resilience...And, because I know that the business world is one of cycles, I know there will again come a time when the economy tanks, and more small business owners will be faced with the decision of when and how to close down their "baby". For this reason, I highly recommend this book to all small business owners." 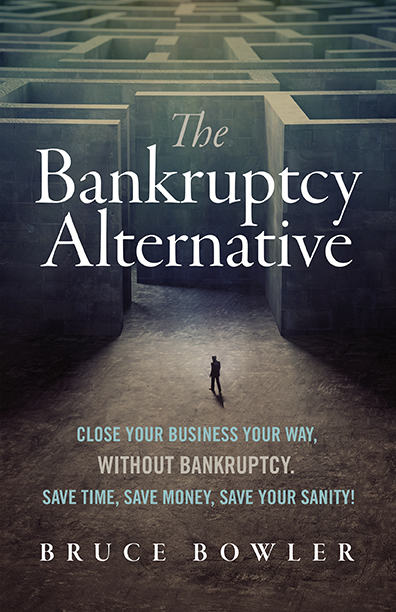 “The Bankruptcy Alternative is for entrepreneurs and business owners who face the reality of closing down their business … It is also a good reference material for those studying business management, in particular, bankruptcy and alternatives...Many books have been written in how to start up a business properly, but it is rare to find one that discuss useful options in how to close down."